Ideal for pet carriers and beds, this Fleece Paw Print Pet Blanket is ultra-soft and large to make pets comfortable anywhere. 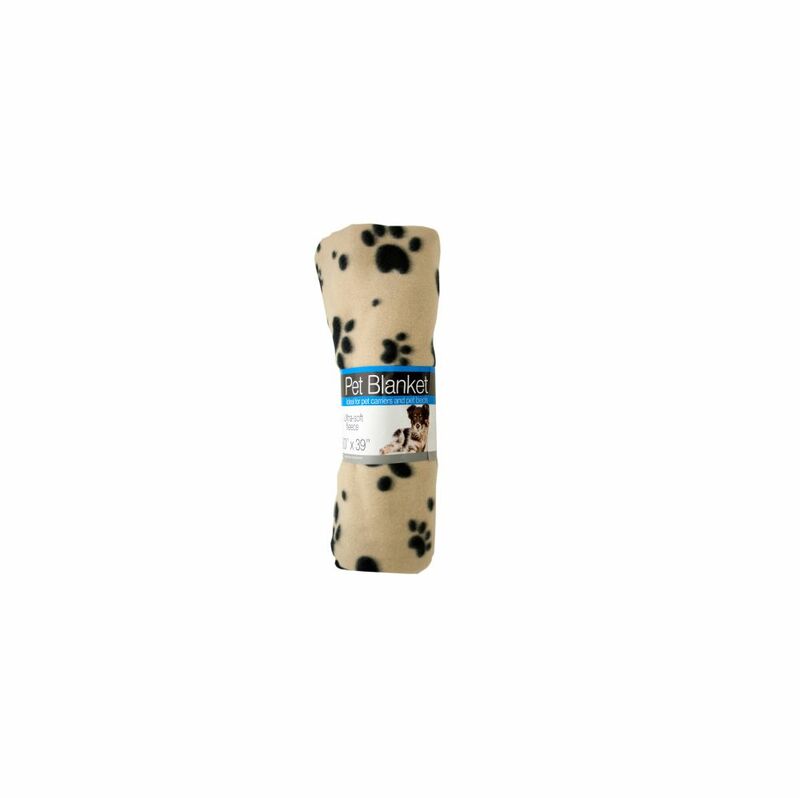 It is a perfect multi-purpose blanket for all pets with a cute paw print design. Machine washable. Measures approximately 60 x 39. Comes packaged with a wrap around.